We would like to thank Todd for taking time to complete our Client Q & A. Keep reading to find out what it’s like to be a business coach in Cincinnati. A: After a successful career as a Army Intelligence Officer, I went on to coach CEOs and Senior Leaders of Fortune 1000 companies and big private companies for 14 years with equal success. But, I started getting requests to help Startup CEOs navigate some of the leadership issues that go along with scaling a startup once it has traction. To be honest, our original business model was too expensive for almost all of them. So, it was around the same time that I started getting a bit disenfranchised with helping Corporate CEOs. It’s real hard, as a business coach for one person, to have an impact on these big companies that have calcified cultures. And, well, my true love is helping Founding CEOs change the world with their fresh thoughts, disruptive technologies, boundless energy and desire to have an impact. So we created “From Founder To CEO” in December of 2014, started our FREE podcast in March of 2015 and now we are in the process of created books, courses, and an awesome community that is just right for successful founders who want to be great CEOs. And, wow, has it taken off like a rocket ship. We had over 30,000 downloads of our podcast in the first 8 months. Q: How did you become a business coach? A: My co-founder and I served in the military together, and we had a passion to develop something of enduring value for our families, and that would allow us to do what we love – coaching. Our experiences as Army officers were very similar to our work as business coaches. It’s really about bringing out the best in people. It’s what we love to do. A: The “From Founder To CEO” platform is all about growing the leadership capacity of Founding CEOs while they grow their company. It targets Founding CEOs of companies that show some early signs of growth, are still looking for clear market validation, and are on the verge of scaling. They have issues with building their team, hiring, delegation, communication, and influence. Q: Are there any trends impacting the business coaching industry? Yes! Many baby boomers are retiring, hanging out a “shingle” and calling themselves executive business coaches. This has flooded the market. Therefore, it’s really important to focus your business with online global micro-niches like our two brands: www.daughtersincharge.com and www.fromfoundertoceo.com. Q: What do you enjoy most about your work as a business coach? A: There’s that magical moment in time when a Founding CEO breaks through on their own leadership development journey and it has an exponential effect on the growth of their business. I LOVE that moment. Walking beside someone, as their business coach, on their leadership journey from Founder to CEO is so exciting and personally fulfilling. Q: How long have you been an OfficeKey subscriber? A: We have been an excited subscriber and customer of OfficeKey for close to 10 years. OfficeKey has been a valuable partner to us. The people at OfficeKey keep us with OfficeKey. They all go out of their way to help our business be successful. Q; What do you enjoy most about being with OfficeKey? A: The employees…period. The office space is great. But, I can get that anywhere. People like Sherri, Fran, Jason, Terri, Kim, Susanne, Angela, Bonny, Jackie, and Karnarva are wonderful! We would not be as successful as we have been without their support. Q; How do you spend your time outside of work? A: I have a young family and we love to hike. We hike at the Cincinnati Nature Center and in Hocking Hills, Ohio. A: My family is my hobby 🙂 When I’m not busy building and leading our business, I love helping my son with baseball or soccer and helping my daughter with soccer and basketball. A: The Hunt for Red October with Sean Connery and Alec Baldwin. I served in the U.S. Army during the Cold War and this movie always captured my attention. Q: Who’s your favorite singer or band? A: I have such eclectic tastes in music. I can listen to classical music one minute and then country music the next. but, if I had to choose a favorite it would be Tim McGraw. 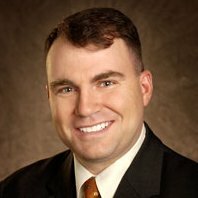 If you have questions for Todd, visit his website at www.fromfoundertoceo.com.